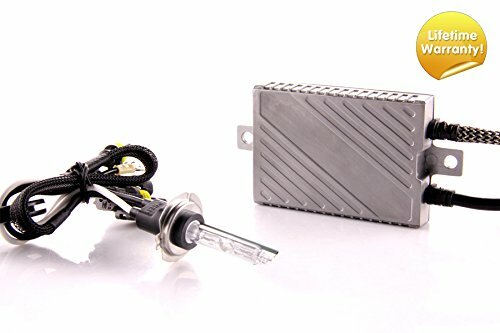 What Is The Best Motorcycle HID Kit in 2019? →What Is The Best Motorcycle HID Kit in 2019? As time passess, technology continues to grow. Vehicle lighting is certainly not an exception to this growth as it continues to feel the pull of technological innovation. The most sophisticated form of vehicle lighting on the market today is HID (High Intensity Discharge) lighting. This form of lighting cuts through darkness like a knife through butter, allowing you to see clearly into the distance. 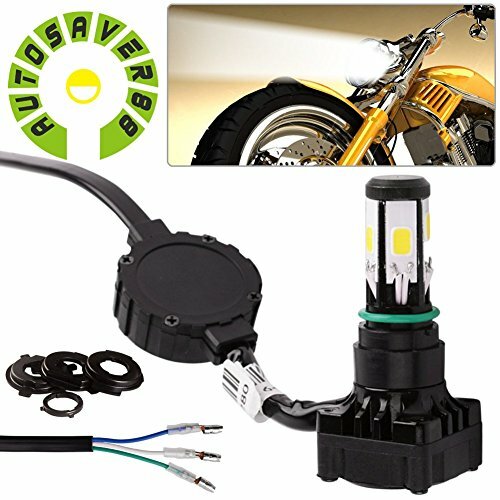 Looking to install HID lighting on your motorcycle? 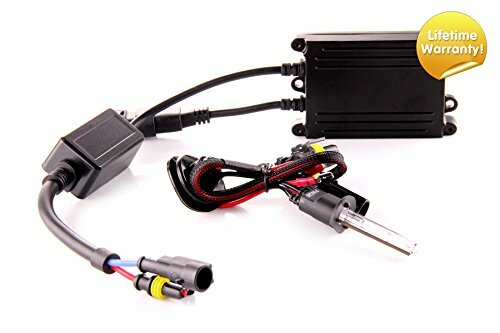 If so, you need a motorcycle HID kit. A kit such as this will enable you to install HID lighting with little to no inconvenience whatsoever. Let’s start by reviewing the DDM Tuning 55W Plus Motorcycle HID Kit. 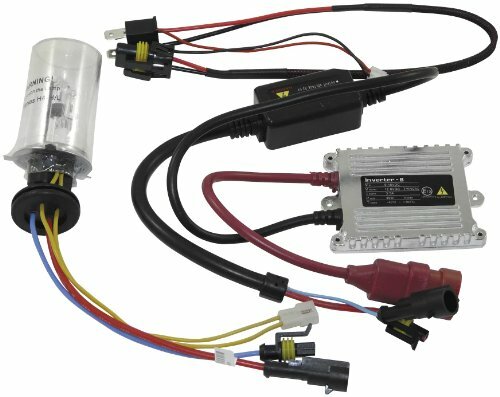 This HID kit is a little more expensive than some, but offers enough in the ways of performance and functionality to make it worth its price. In fact, it could very arguably be called the best motorcycle HID kit on the market today. This kit possesses a 55-watt bulb which is capable of outputting up to 5,000 lumens. Available in 4 shades of yellow and white, it offers some customization, enabling you to equip your motorcycle with its own customizable light. The bulb in this kit is not only exceptionally bright, but extremely efficient as well. It’s designed to last over years and years. Coming with a lifetime warranty, this product is completely backed by its manufacturer. All in all, this is an exceptional HID kit; the best motorcycle HID kit on the market. The next motorcycle HID kit on our list is the Yana Shiki HIDH7-8K. This kit offers above average value in the ways of functionality and performance, but is a little on the expensive side. The bulb in this kit is a 35-watt bulb, giving it good, but not great power capabilities. This allows it to accommodate fairly standard lighting functionality. It’s available with either white or blue light, allowing you to personalize your motorcycle to an extent. It installs very easily, not necessitating any wire cutting at all. You can essentially just plug it in and let it glow. With a 2-year warranty, it possesses a decent amount of support from its manufacturer. All in all, this is a great motorcycle HID kit, but a little on the expensive side considering its overall performance. A solid mid-level motorcycle HID kit is this one from Genssi. This kit is available for about half the price of the Yana reviewed above, and offers much of the same in the ways of functionality and overall performance. This kit is designed specifically for Honda motorcycle models which were manufactured between 2000 and 2011. Possessing white bulbs, this kit packs a decent amount of power, capable of illuminating everything in your general area. It provides both low and high beams, enabling you to really turn up the light when you’re in impossibly dark areas. Capable of plugging in and shining immediately, this kit is ridiculously easy to install. If you’ve got a Honda motorcycle, this would be a great option for you. 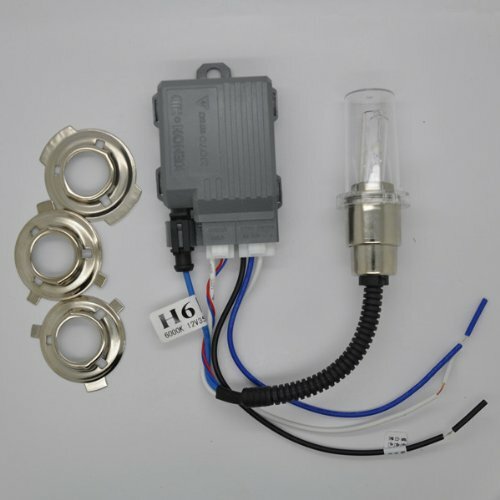 Another motorcycle HID kit from Yana Shiki is the HIDH4. Available for a mid-level price, it offers above average functionality and performance overall. It comes in either white or blue. This kit comes with a 35-watt bulb, giving you fairly good power overall. There are more powerful bulbs available, but this will suffice for most users. It’s very easy to install, necessitating only that you plug it into its designated port. There are no wires to be cut, and no tools to be used. It comes with a 2-year warranty, giving it good, but not spectacular coverage compared to other motorcycle HID kits. All in all, this is a very solid motorcycle HID kit. While it’s not the best motorcycle HID kit on the market, it offers quite a bit for its price. 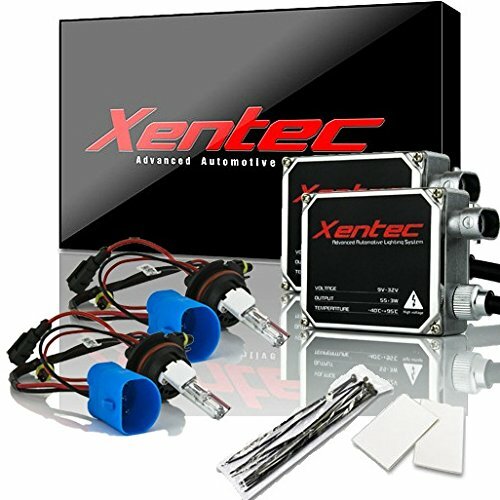 Up next on our list of best motorcycle HID kit is this kit from XENTEC. Available for a mid-level price, it offers fairly standard value in terms of functionality and overall performance. However, it sets itself apart from many kits in that it’s available in many different colors; 10 total, including pink, blue, white, and a variety of others. This kit comes equipped with 2 55-watt bulbs, giving it excellent power overall. The only problem is that the bulbs are not the most consistent. There have been some problems with them flickering on and off during use. So, while they come with a 2-year warranty, there’s no guarantee that they’re going to regularly perform for you. All in all, this is a good, but not great motorcycle HID kit. It offers a lot of variety and is easy to install, but is ultimately inconsistent. A very solid mid-level motorcycle HID kit is this one from DDM. While it doesn’t offer much in the way of flash and variety, it’s consistent, functional, and well worth its price. It’s available in 6 different shades of white and yellow. This kit includes a powerful 55-watt bulb which projects brightly over everything in its general area. It’s essentially a plug and play device, capable of being installed without having to cut any wires. One of the best things about this kit is that it comes with a lifetime manufacturer’s warranty. You can rest assured that DDM stands behind their product and their service. All in all, this is a very solid mid-level motorcycle HID kit. If you’re looking for a solid budget motorcycle HID kit, you might very well consider this one from AUTOSAVER88. Available for a very reasonable price, it still offers a decent amount in the ways of consistency and overall performance. This kit possesses a bulb which can switch between projecting 15 watts and 25 watts of light. While it’s not as powerful as some, it will still get the job done reasonably well. It installs with great ease, necessitating no wire cutting or the like. While it’s said to come with a “100% warranty,” there is no information as to how long the warranty lasts. Of course, considering its generally low price, a warranty is not necessarily a priority. All in all, this is a solid, middle-of-the-road budget motorcycle HID kit. The next HID kit on our list is this one from LOOYUAN. Available for a mid-level price, it offers fairly standard functionality and performance. This kit comes with a 35-watt bulb, providing it with above average brightness and projection when compared to other bulbs. It comes in only one shade of white; however, this one shade does a terrific job of cutting through the darkness. It installs without the use of any tools, not necessitating the cutting of wires of anything else of the sort. 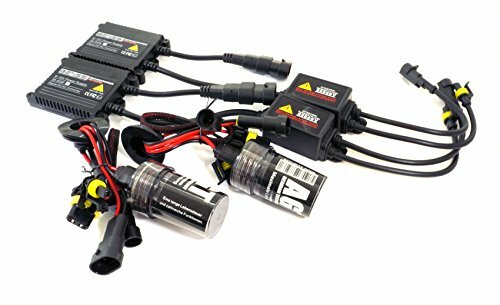 All in all, this is a solid mid-level motorcycle HID kit. It’s not flashy. It just quite simply gets the job done. Another solid budget motorcycle HID kit is this one from OZ-USA. Available for a general pittance, it offers enough in the ways of functionality and performance to make it worth a buy. It should be noted that this kit does not come with a bulb. It does, however, work with the vast majority of halogen, LED, and HID lights. What it does come with is a rather large connecting wire, enabling it to be stretched about as far as you’ll ever need a wire to go for its intended purpose. It can connect with any bulb up to 360 watts in power. It is essentially a plug and play kit, capable of being installed in just a few minutes. Coming with a 1-year warranty, it possesses fairly standard coverage. All in all, this is a good, but not great HID kit. But if you’re looking for something without a bulb included, it’s a decent option. 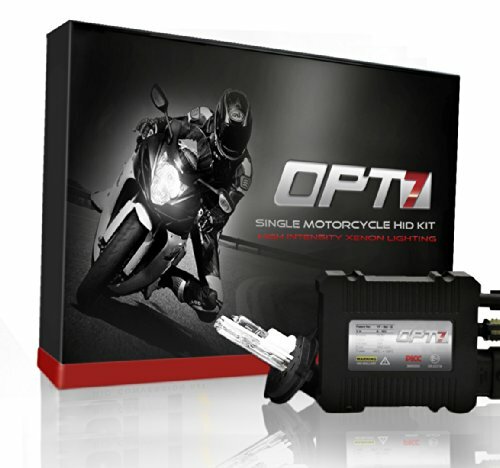 The last motorcycle HID kit we’ll review is the OPT7 Blitz. This is a decent bargain kit which provides fairly average functionality and performance overall. Coming in 5 different shades of white and yellow, it offers decent variety. This kit is available in a number of different sizes, and includes a 35-watt bulb which projects fairly bright light overall. It should be noted that this kit will only accommodate your low beams. It possesses no high beam capabilities. As a plug and play kit, it’s fairly easy to install. You don’t have to cut any wires or use any tools. Coming with a 2-year warranty, it possesses fairly average coverage. 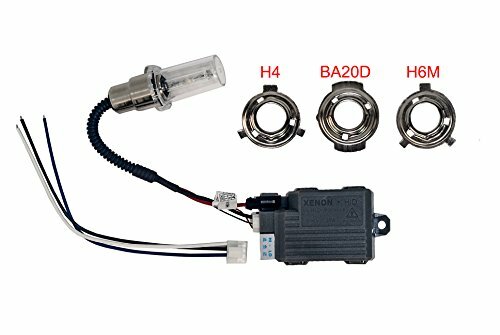 All in all, this is a solid budget motorcycle HID kit. While all motorcycle HID kits are designed to accomplish the same thing, they’re not all created equally. There are a number of different aspects which affect a kit’s overall functionality and performance. By taking these aspects into close consideration, you stand the best chance of selecting the best motorcycle HID kit for you. Things to take into consideration include power capabilities, color capabilities, ease of installation, and warranties. HID kits enable you to install lighting of all different power levels. Typically, the higher wattage a kit allows for, the brighter the light will be. The vast majority of lights will measure between 35 watts and 55 watts. Make sure that the one you select is compatible with your specific motorcycle so that it doesn’t cause any electrical issues. Whereas some HID kits will only accommodate bright, white light, others will allow for S.O.S. light functions, red lights, and a variety of other light colors and styles. Whether you get a basic white light or a specialized color light is completely up to you. It’s just a good idea to keep your mind open as to what your options are. Motorcycle HID kits come with a variety of different warranties, some of which will last for a year, and some of which will last for 5 years. You never know whether or not your light will die out on you. It’s wise to choose a kit with a warranty of a decent length just in case troubles arise. While ease of installation has a lot to do with your specific motorcycle, some HID kits allow for easier installation overall. Specific attachments are included with some kits to ensure that your bulbs and wires can be positioned correctly.